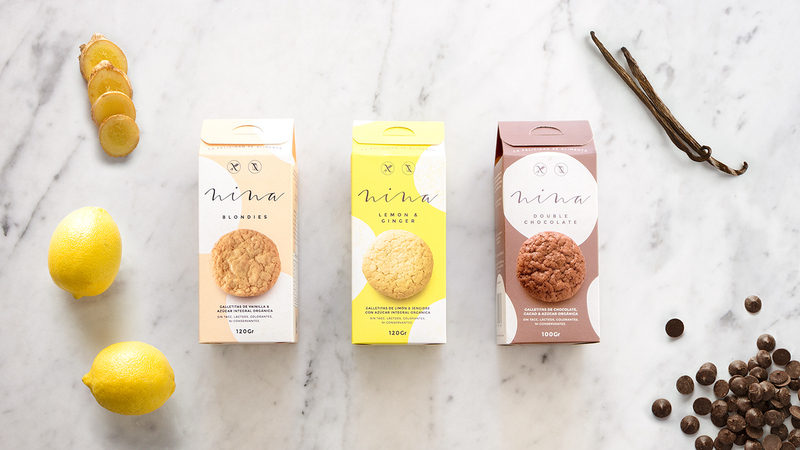 Asis designed this delicious packaging for Nina, a new line of healthy cookies that come with a handcrafted feel. 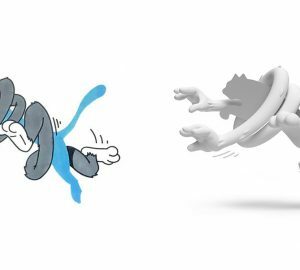 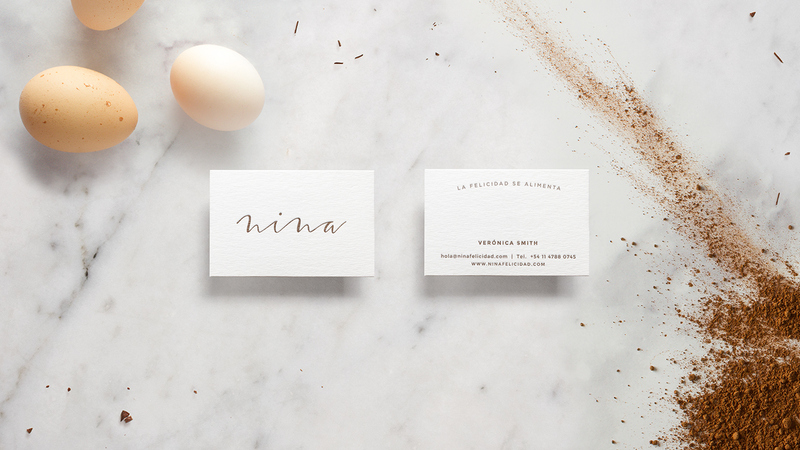 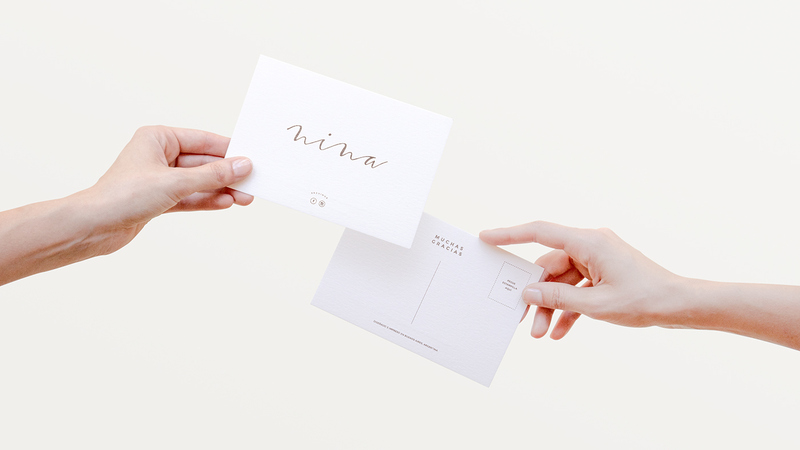 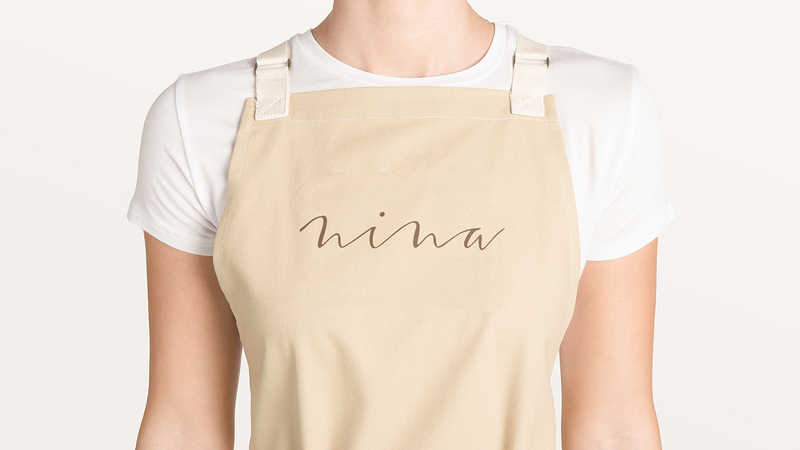 We were contacted by Vero Smith to help her develop the visual identity and design the packaging for her new brand of healthy handmade tasty cookies, called Nina. 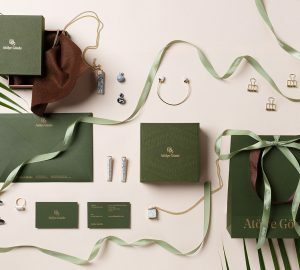 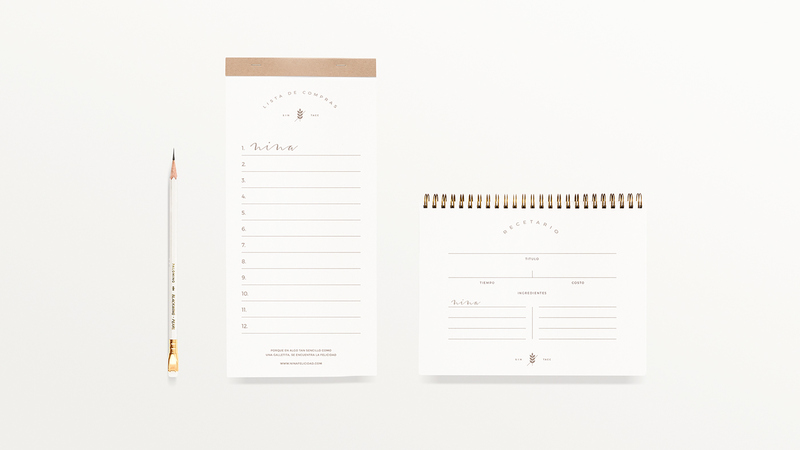 We did a very delicate and crafty stationery and tried to reflect in our joyful designs for the packs the care and love put on every batch. 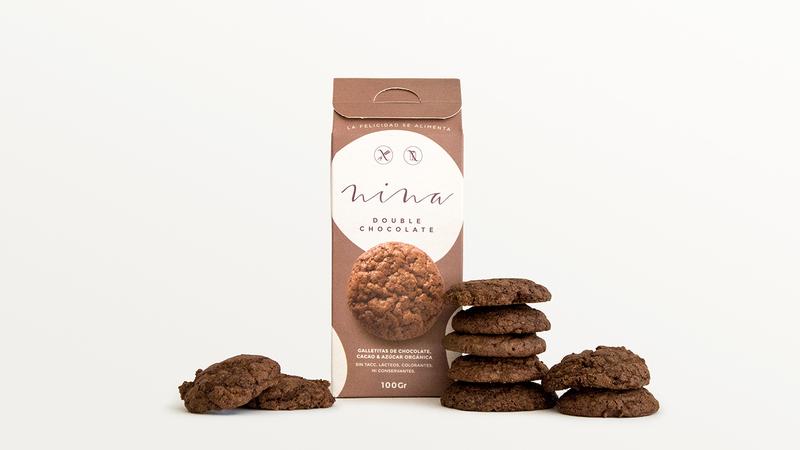 Because in something as simple as a cookie you can find happiness. 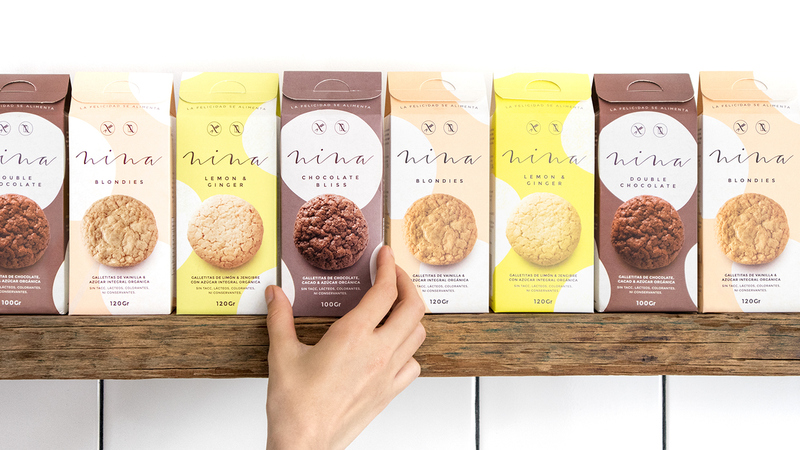 Nina cookies come in three flavors: Blondies (vanilla), Chocolate Bliss (cacao and chocolate) and Lemon & Ginger, all made with organic integral sugar and free of: gluten, dairy, refined sugar, artificial additives, preservatives, colorants and hydrogenated fats.